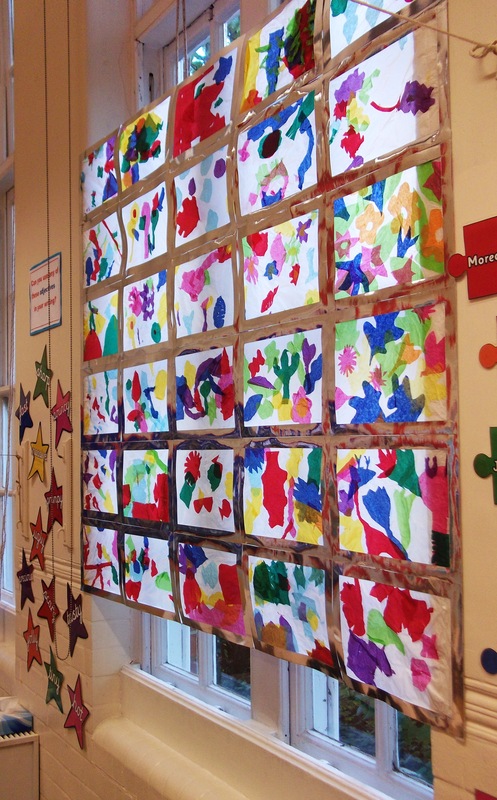 I worked with a Year 3 class to create this stained glass-effect window, inspired by Matisse’s Tree of Life. 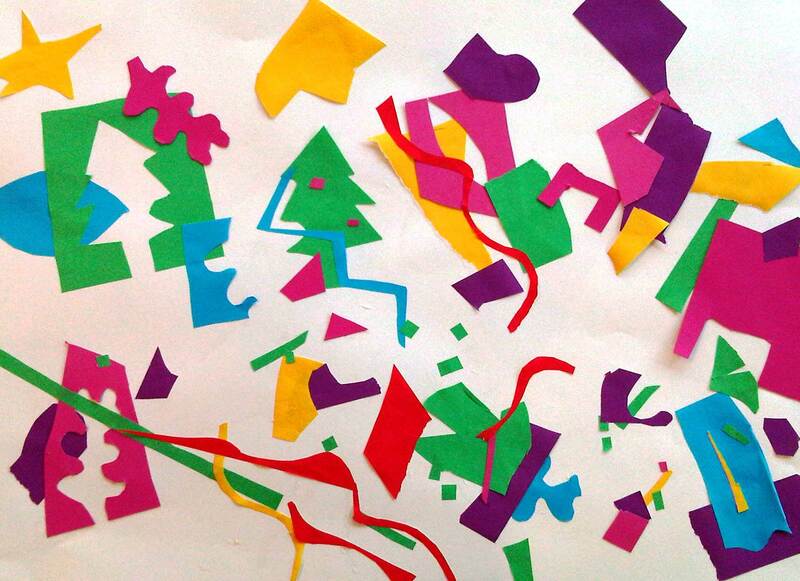 Each child cut brightly coloured tissue paper into nature inspired shapes and carefully stuck them onto a white sheet with a paint brush and PVA glue mixed with water. Once the pieces were dry, the children glued a silver card frame on top and I trimmed the edges using a craft knife. Each piece was then taped at the back to make a large scale panel. 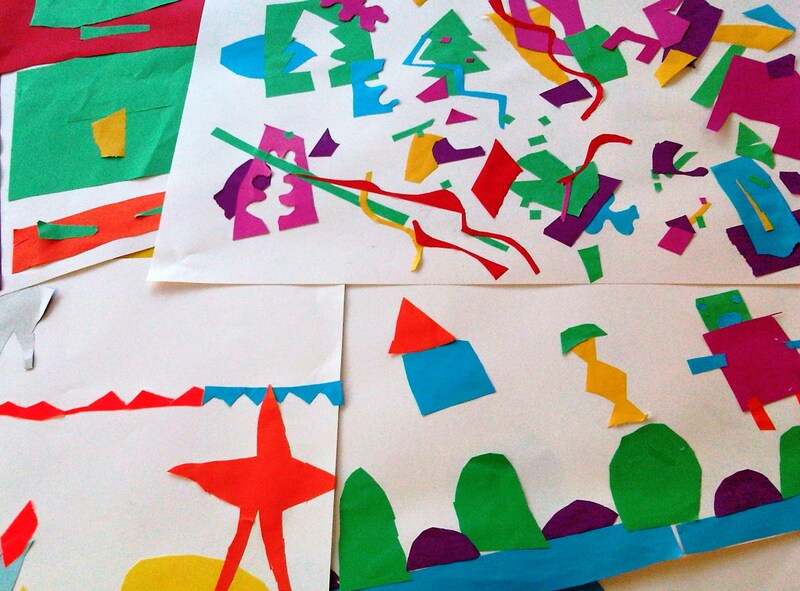 These paper cut out collages, also inspired by Matisse, were created by KS1 and KS2 children.